US based Guyanese scholar, Kelly Hyles is among the 2018 Honorees for the 30, Under 30 Caribbean American Emerging Leaders/Change Makers Awards, which honours youths exhibiting leadership in academia, volunteerism and entrepreneurship in the Caribbean American community. Hyles who hails from Vryheid’s Lust, East Coast Demerara and now resides in the USA, is currently attending Harvard University. She is Vice President of the Harvard Caribbean Club, where she spearheaded the organization’s first annual Jubilee—an event which showcased the diversity and talent in the Caribbean, and provided a space for Caribbean students in the Greater Boston/Cambridge area to celebrate their history, art, music and food. 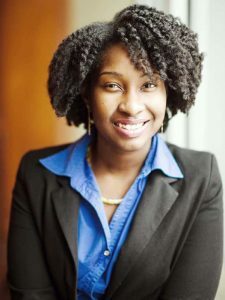 Hyles, an alumni of Queen’s College, is also a mentor at the Harvard Ed Portal, where she helps K-12 students from the Allston/Brighton area cultivate their interests in Math, Science and the Arts. In addition, she recently launched Gears for Success, a not for profit organization, which aims to provide educational supplies to underserved schools in Guyana. Through the organization, Hyles hopes that her efforts will enhance students’ scholastic performance and foster a better learning environment. She acknowledges the privilege of attending Harvard, and is dedicated to providing the same access for higher education to children with similar background as hers. Hyles’ most recent visit to Guyana was in May 2016 when she celebrated her 18th birthday. Her visit also coincided with celebrations for the country’s 50th Independence Anniversary. She rose to fame after news broke about her acceptance into 21 institutions of higher learning in America including all eight Ivy League schools. Although, she was accepted to Harvard, Princeton, Pennsylvania and Yale Universities and a number of other Ivy League Schools, the teen has chosen to be a member of Harvard’s Class of 2020. She has a keen interest in Neuroscience. For her stellar performance, Hyles was featured on a number of popular news channels and television shows in the US, including CNN Today, People Magazine, Dailymail, the Steve Harvey Show, PIX11 News and the Today Show. During her visit to Guyana, she met with the President and Minister of Education and United States Ambassador to Guyana. She was also featured at a number of events hosted by the village in which she grew up. Hyles was also given the opportunity to visit schools throughout Guyana to share inspirational stories.